← What is the Best Artwork for Your Cottage? One way to do that is by framing sports memorabilia so that it becomes a permanent method of preserving and displaying important sporting photos, tickets, jerseys, hockey pucks, golf balls, baseball bats, hockey sticks and whatever else you may have in your collection. If you have budding sports stars at home, they can feel honoured to have their team pictures and medals framed and displayed in the family room. It can provide a historical account of their progress throughout the years. Professional athletes are heroes to many people and displaying autographed photos brings back many youthful memories. At Creative Art & Frame, we have framed some really ‘unique’ memorabilia. One man brough t in a letter that he received from his hockey hero, Bobby Orr. As a young boy he had written to Orr who replied wishing him good luck with his goals and dreams. The client had saved this letter for over 30 years and finally framed it so that it could be displayed in his sports room. An adult woman had the opportunity to throw the first pitch at a Blue Jays’ game when she was thirteen. 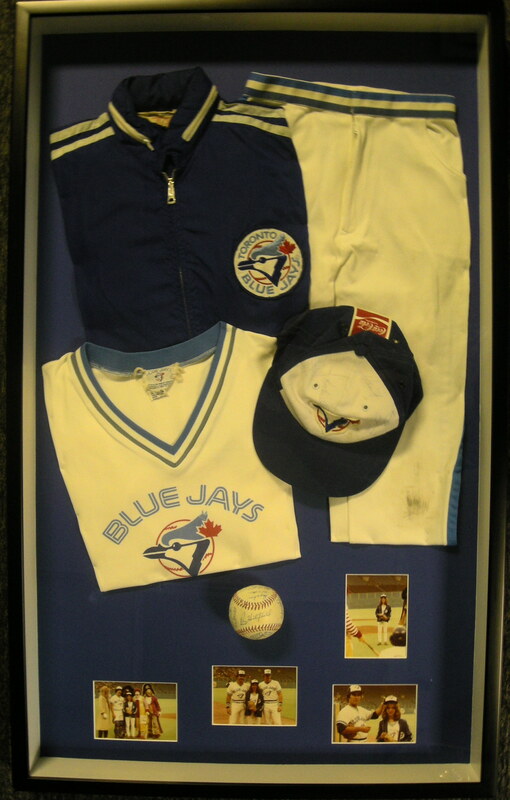 She framed up her Blue Jays uniform, photos that had been taken at the event and the autographed baseball that she had pitched. That event was a true highlight in her life and now she can think of that moment every time that she looks at the frame. 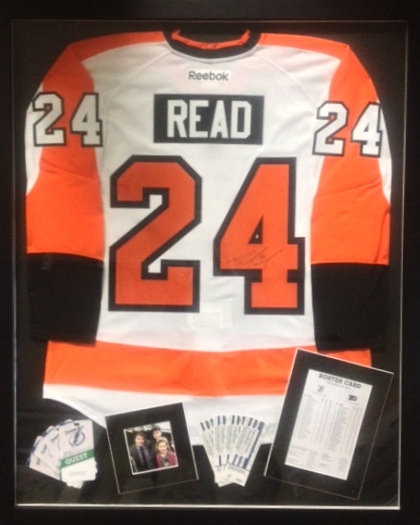 Whether hockey, football, baseball or golf, an autographed sports jersey is a wonderful keepsake. Many people have framed autographed London Knights jerseys, especially after their Memorial Cup win in 2005. 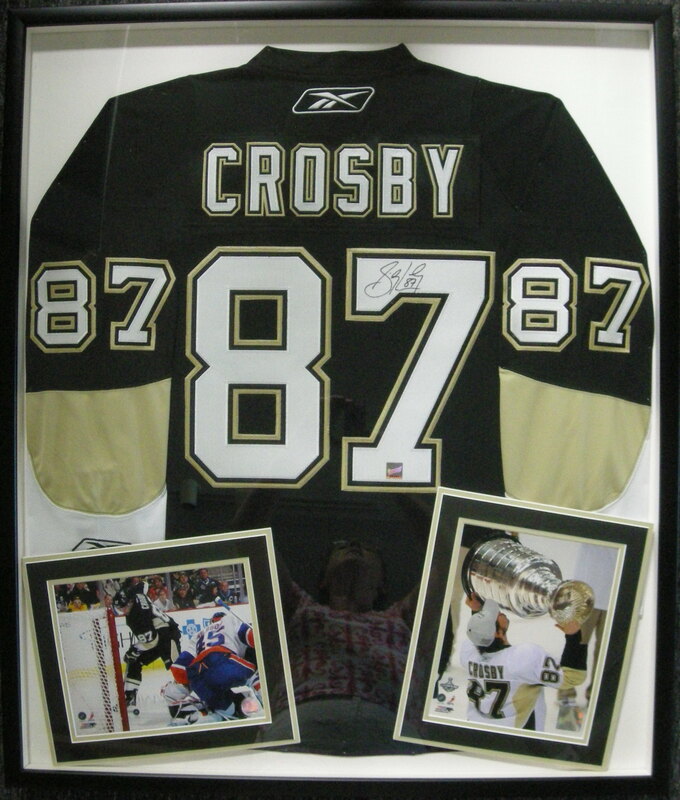 Creative Art & Frame has framed jerseys signed by Gretzky, Yzerman, Orr, Gilmore, Crosby, Kadri, Lance Armstrong and many more. The owners are proud to display them when they look professional and are conserved for the future. When framing your treasured sports memorabilia, it is important to use acid-free mats, backing and conservation glass to prevent fading as these items are collectibles and can be very valuable. Jerseys should be framed in a shadow box so that they don’t touch the glass as condensation may damage the shirt. Bring those sports memories to life by framing them now!